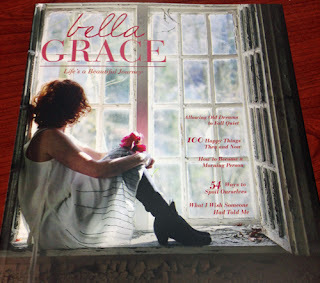 I finally succumbed and picked up a copy of the Bella Grace magazine, because the photos and art looked so peaceful, so mori girl. A special way to treat myself away from the rush of the day. More than halfway through, I realized something: this magazine, this journal, was bringing grace, beauty and peace into the world. Sure, it occasionally got hung-up on pedicures as being something worth having, but it lingered on summer evenings and sunrises and cups of coffee (or tea). Pauses throughout the day. And then I realized that all these authors were bloggers, like me, living their ordinary lives, but unlike me, actually documenting it. "I am going to be blogging about peace, love, light, joy and transformation, and my struggles to find the same. I figure by sharing struggles and learning to speak and live these things that maybe there will be more joy, more love, more peace and less and less fear of things we don't need to be afraid of." I know I shouldn't compare my writing to others. Heck, I thought I had learned that lesson long ago when I wrote romance novels. I thought I learned that lesson as I learned to become an artist. But here I am, comparing. So, authors of Bella Grace, I accept your challenge. I mean, I was going to blog more this summer anyway, right?